Have you ever gone into a haunted house and then spent the whole time with your eyes half-covered, pretending you weren’t seeing everything around you? You paid money to be there, you waited in line, you knew there would be frights, and yet you walked through the whole place half-blind, just looking for the exit. That might be one way to get through a haunted house, but it’s no way to walk through your business. Ignoring the problems in your business won’t get you to the exit – unless that exit means freshening up your resume – but it will let those problems snowball into bigger and more challenging issues. If you want to improve your business (and your life), you have to address those problems head on. Open Your Eyes: The first rule of enjoying a haunted house is to open your eyes. Whether or not you like what you see and no matter how scary it might be, if you have your eyes closed, you can’t see what’s happening around you. 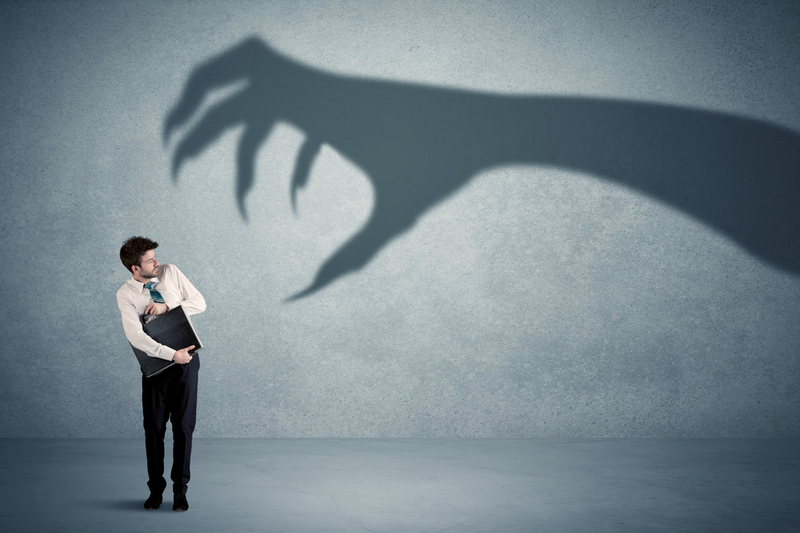 While you might not be avoiding ghosts and witches in your life as a business owner, things like broken systems, managers who need training or customer service issues can be just as frightening. Open your eyes, look into every corner and take stock of the current status of your business so you can address issues create a plan for improvement. Walk Forward: Once your eyes are open, if things are pretty scary, it’s easy to feel overwhelmed by what you are seeing. Don’t freeze! If you stand still, you’ll be stuck in that haunted house forever. Once you’ve had a chance to truly examine the ins and outs of your business – and perhaps pull down a few cobwebs – it’s time to figure out how to move forward. Whether your work with a business coach, consult with a mentor or sit down with your management team, it’s time to put on your CEO hat and start planning strategically. What can be done immediately to improve your business, inside and out? What do you need to look at six months out? Where do you want to be next year? How about in five years? What do you need to do to get there? Ask yourself these questions and start taking steps, even if they are small. Go Back Next Year: Once you’ve made your way out of that haunted house, take a deep breath of the cool October air, smile and think back about what you just experienced, no matter how scary. Take time to celebrate your success and think about what you might do differently next time. Then – and this is important – mark your calendar to go back to that haunted house next year. Sure, you’ve already been through it once, but the attractions change every year and, although you’ll be better prepared, it’s important to take that deep look at your business every once and a while so you can plan strategically and continuously improve. And, if you need a friend to hold your hand, you can always call your local Growth Coach: http://thegrowthcoach.com/find-coach/. Happy Halloween!